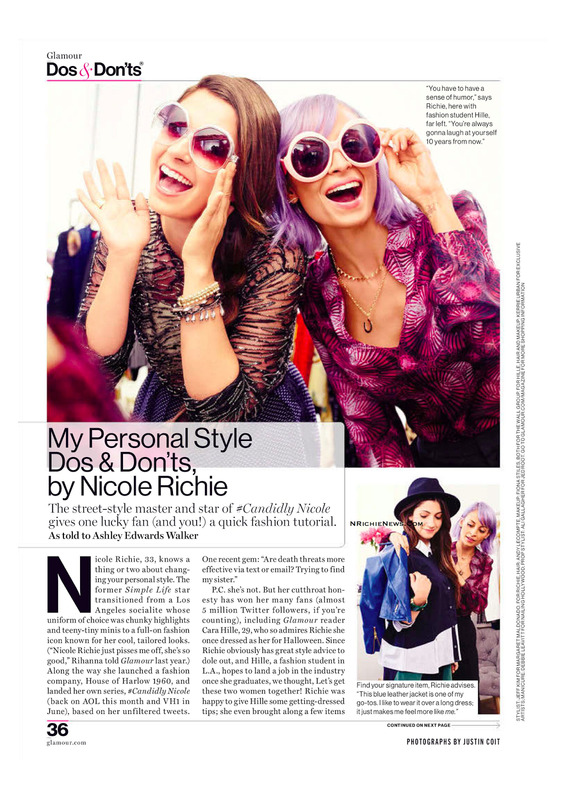 Nicole Richie is featured in the February 2015 issue of US Glamour Magazine. In the feature Nicole talks through the Do's & Dont's of her personal style and how you can transition it into your workwear wardrobe. To view high quality scans, if reading the magazine scans on a desktop/laptop - click on image, right click and click view in new tab/window, for clear reading! Click Here to read more on Glamour.Com. Img source - scans obtained myself from US scan site.